As it relates to a divorce case, settlement is usually the best way to resolve it. Divorce settlements allow you to have control over the outcome of your case and are typically more affordable and expedient than litigation. However, if litigation becomes necessary, Attorney Rainford is an experienced and strong advocate for her clients in the courtroom. The following information is intended to give you a general idea of the law regarding several issues related to divorce. It is important to remember that every case is different. I have provided only a general statement of the law and there are always exceptions to the rule, particularly in family law cases. For a more in-depth discussion, contact McDonough, Georgia, attorney Chalcia L. Rainford. 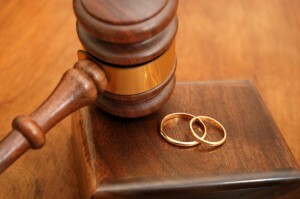 Settlement is usually the best way to resolve a divorce case. Divorce settlements allow you to have control over the outcome of your case and are typically more affordable and expedient than litigation. However, if litigation becomes necessary, Ms. Miller is an experienced and strong advocate for her clients in the courtroom. Alimony is usually one of the first things a person thinks about when a divorce is pending. Courts may grant temporary alimony for the purpose of maintaining one spouse’s standard of living during the pendency of a divorce case. The factors in determining whether temporary alimony is granted are much different than the factors considered in determining permanent alimony. The merits of the case are not at issue when determining temporary alimony, as they are in considering longer-term maintenance. Permanent alimony is very different from temporary alimony – it is an allowance out of one person’s estate for the maintenance of the other spouse. Alimony is based on several factors, including the needs of the person asking for alimony, the ability of the other spouse to pay alimony, the lifestyle the couple had during the marriage, and the relative education, age, health, and work experience of the parties. There are no guidelines or set amounts for alimony; rather the judge looks at several factors in deciding whether to award alimony and if so, in what amount. Alimony is generally not awarded for punitive purposes. There are guidelines in Georgia to help determine the amount of child support awarded. Georgia’s current child support laws went into effect on January 1, 2007 and is based on an income-shares model. This means that both parents’ incomes are taken into account and separate child support obligations are determined for each parent, taking into account such factors as the cost of health insurance for the children, work-related child care, extraordinary educational and health care expenses, and extracurricular activities. Custody can be a major issue in divorce cases. The standard for determining custody is a best interest of the child standard. In order to determine what is in the best interest of the child, the judge will often look at which parent is the most significant day-to-day care provider for the child. However, there are many other factors a judge will look at in determining custody. A judge, never a jury, always makes the custody decision (a jury can decide issues of child support, alimony, property, and debt division). There are two forms of custody in Georgia – physical custody and legal custody. Physical custody determines how the child’s time is allocated with each parent. The parent who is awarded physical custody will generally have the child the majority of the time, unless the parents share true joint physical custody. Legal custody is the right and responsibility to make certain decisions regarding the child’s health, education, religious training, and general welfare. Parents can share joint legal custody while one parent has physical custody. Parents can also share joint physical custody, where the child spends approximately the same amount of time with both parents. One parent can also have sole physical and legal custody. Visitation rights for the noncustodial parent can vary significantly and there are as many potential solutions as there are divorcing parents. Georgia is an equitable division state when it comes to dividing property and debts. This means that, in the absence of an agreement between the parties, assets and debts are divided according to whatever the judge or jury thinks is fair given the particular circumstances of the case. Call us today for a free consultation regarding your family law situation.